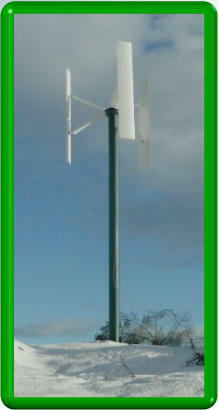 Disadvantage of vertical wind turbines: The slightly lower efficiency than horizontal wind turbines. 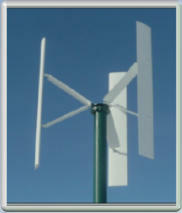 Horizontal axis wind turbines are very efficient in power generation, as long as they rotate. The disadvantage of all known horizontal models is that they must constantly re-orient themselves in frequently changing wind directions. This is done by a wind vane or in large systems by a motor and control electronics that turn the blades into the wind. 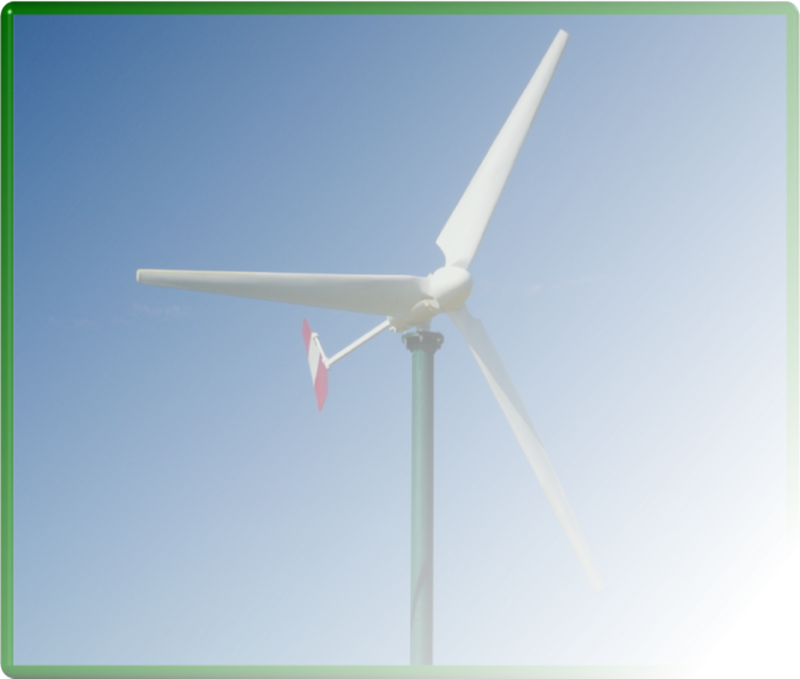 The advantage of this technique is that the blades will rotate only when the blades are ideally aligned. 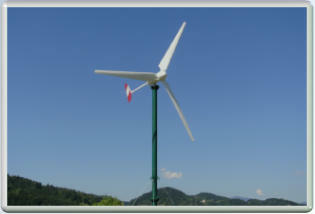 Constantly changing wind directions, slow down so the optimal production of wind power from wind energy. 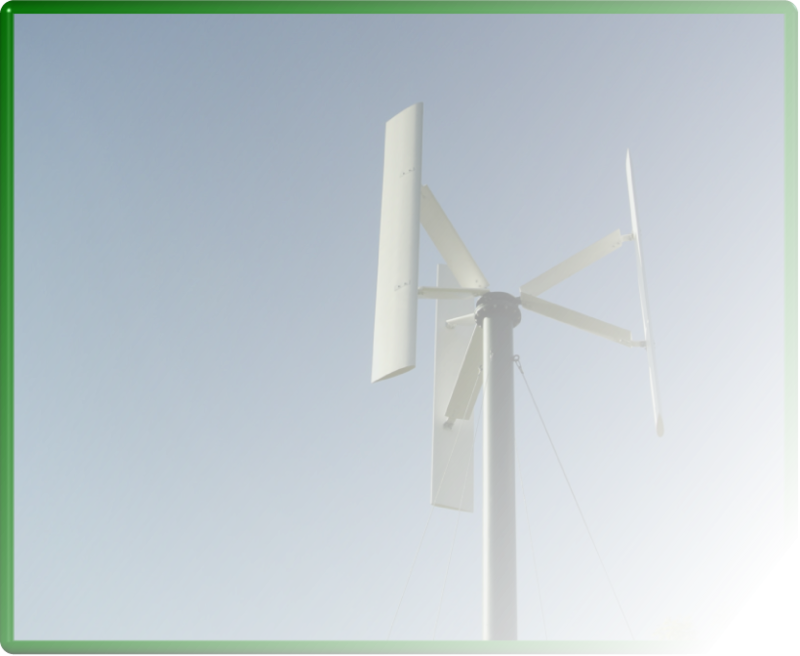 This means that horizontal windmills best spend most of their time ideally aligned, and they do not deliver the full power capacity. 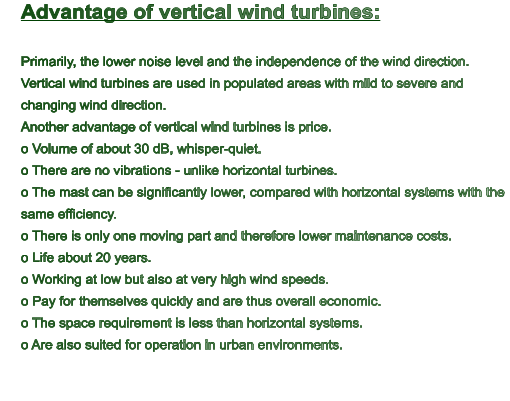 This is also the reason why horizontal wind turbines must be built on very high towers to avoid the turbulence near the ground. Small plants can be used for stand-alone operation, energy is charged in batteries, used, from 3 kW systems for power supply via a conventional inverter designed. 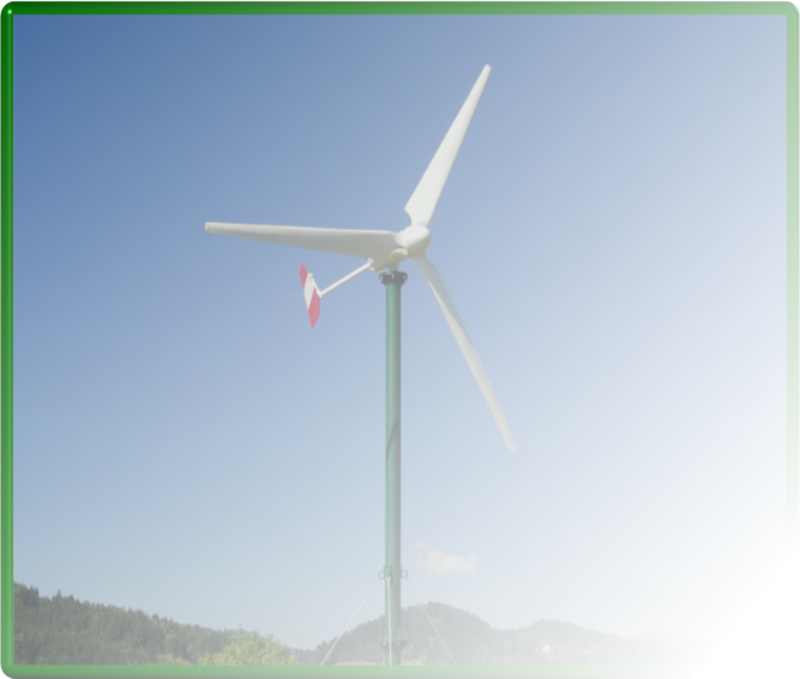 Small wind turbines are used to cover their own electricity needs, goals are to maximize their own, decentralized power and the partial independence from the power company. The excess electricity is fed into the grid, based on their own under-supply from the grid. 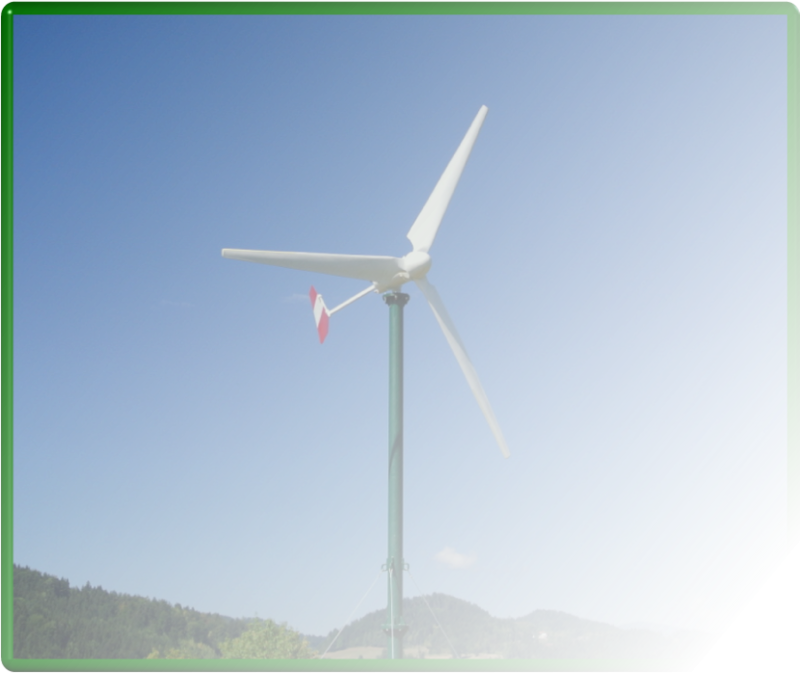 For the urban and rural areas, the horizontal wind turbine is the better alternative, simpler mechanical components, lower investment and maintenance costs. 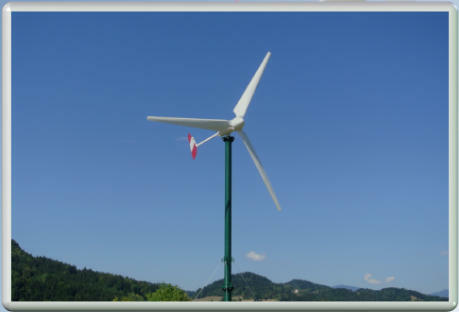 The best yield in the wind speed range is between 5 - 12 m / s.
Mains power supply: Direct connection to the household power circuit with a public network connection. The excess electricity is fed into the grid. You can feed this is not possible to use the surplus for the heater. This is not economical in the long run, however. The exception is the operation of a heat pump. Currently, a buffer for large systems with stationary batteries is due to the time-varying consumption and income is not economical. In the future, the batteries of electric cars, electric scooters and electric bikes are loaded, single operation: If the operation is buffered without connection to the public network, the batterie power is 24, or 48 VDC. 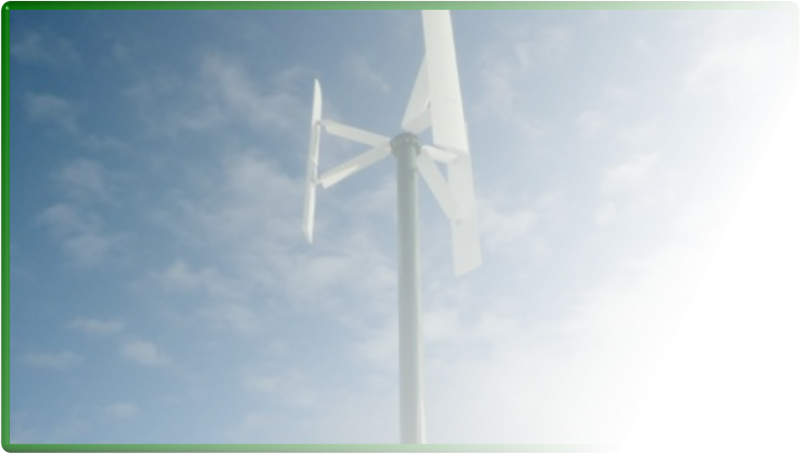 Applications and locations for wind turbines: o agriculture, horticulture, fruit growing, forestry o Lighting for roads, paths, squares o Input current required o Power supply o charging batteries / batteries, e.g. Electric cars, electric scooters and electric bicycles o operation of air conditioning and refrigeration systems o Power supply for heat pumps o Domestic water heating o space heating, water heating, or indirectly via, eg, directly means of infrared radiators or storage heaters o blades with attached advertising o Public buildings, squares, parks, and single-family, multi-family, weekend houses A maximum use to cover domestic demand for electricity is to be aimed primarily. It makes sense to use the electricity for heating with a heat pump, 1 kWh of electricity you get about 3 - 4 kW of heat energy.